Claire practices NO HANDS® Massage, a unique approach to massage therapy in which touch is delivered through soft yet strong parts of the body, like the fleshy part of the forearm. NO HANDS® is for people who want more than just a ‘skin rub’ – it offers a deep, penetrating and nurturing massage. Claire strongly believes that regular massage is essential for a healthy, happy and successful life. She takes the time to take care of herself by getting monthly massages and recommends we all do the same. 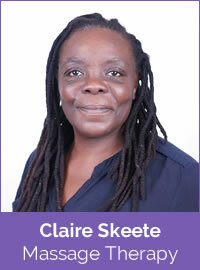 Claire is a Registered Nurse who worked in the Accident & Emeregency Deptartment at Charing Cross Hospital in Hammersmith until 2015, when she left to follow her passion in complementary therapy. She has been working with the body and massage since 1995, and qualified in holistic massage in 2004. Claire became a member of the NO HANDS® Massage Association in February 2009 and has extensive post-graduate training in the field . She is also a member of the Complementary Therapists Association. 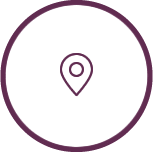 As with all our practitioners, she is fully qualified and insured to offer professional treatments to the public.